Home Careers – Join The Team! 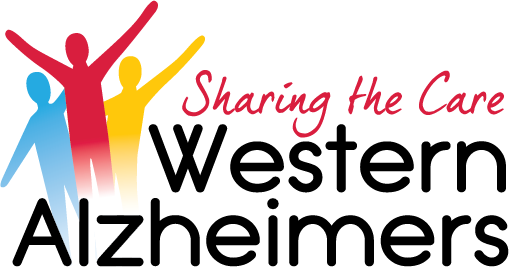 Western Alzheimers has a Vacancy on our Community Employment Programme (C.E.) for an office Administrative Office Assistant in Galway City. Eligibility to participate on C.E is generally linked to those who are 21 years or over and applicants must also be in receipt of a qualifying Irish social welfare payment for at least one year. This is a developmental opportunity. Flexible availability required, office experience an advantage. This is an excellent opportunity for someone looking to up-skill and gain further experience in a person centred setting. QQI/FETAC Level 5 Healthcare Support or Office Administration Award available. This is a great opportunity for someone looking to get back to work up-skill and gain further experience in a person-centred healthcare setting. Hours are 19.5 per week and all positions are subject to Garda Vetting. Western Alzheimers Galway is now recruiting for community based Healthcare Assistants throughout County Galway to join our Community Employment project. This is a great opportunity for someone looking to get back to work, up-skill and gain further experience in a person-centered healthcare setting. QQI certified Healthcare training with support provided. Duties include caring for people with Alzheimers Disease/dementia and providing supportive care in the clients’ home. Tasks may include assisting with personal care, social engagement, meal preparation etc. Flexible availability & a full clean drivers licence is required. Western Alzheimers Mayo is now recruiting for Office/ Healthcare Assistants to join our Community Employment Scheme in Foxford Day Care Services. Western Alzheimers Mayo is now recruiting for House Keeping / Healthcare Assistants to join our Community Employment Scheme in Foxford Day Care Services. Western Alzheimers Mayo is now recruiting for a registered general nurse. Must have NMBI (Bord Altranais) registration. Western Alzheimers Roscommon is now recruiting for community based Healthcare Assistants throughout County Roscommon to join our Community Employment project. Closing Date : Thursday 4th October.